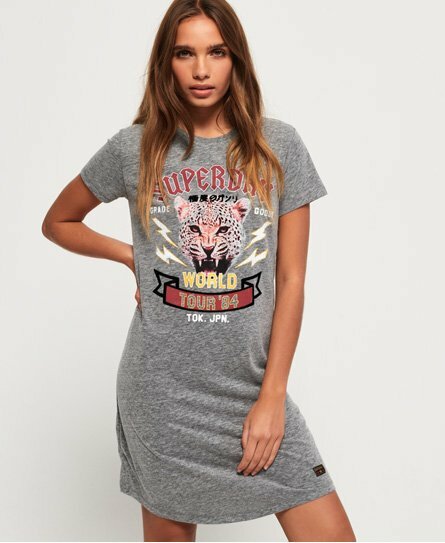 Superdry women’s Tour 84 t-shirt dress. This is the perfect on trend update for your wardrobe. The Tour 84 t-shirt dress features a flattering crew neckline with short sleeves, a Superdry logo printed across the chest and a Superdry patch on the hem. On the reverse of the t-shirt dress, features a Superdry tour 1984 logo for the finishing touch. Team this t-shirt dress with a denim or leather jacket, boots or your favourite flats for a stylish look.